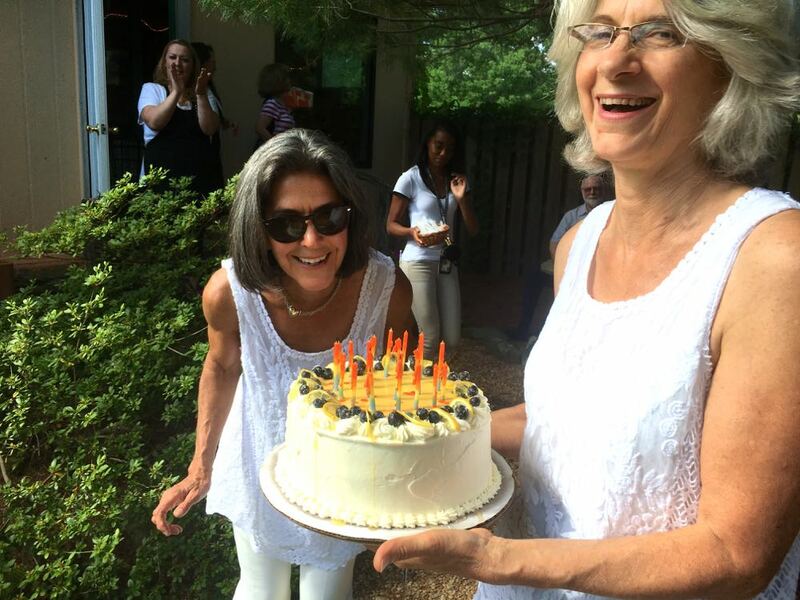 ©2017 Blue Ridge Life : Photos By Tommy Stafford : Kay Pfaltz (left – founder and co-owner of Basic Necessities) and Sallie Justice current co-owner of the restaurant and wine shop make 20 years of being in business official this past Friday – June 9, 2017. A few days ago we told you about a big celebration that was taking place commemorate 20 years of being in business at Basic Necessities in Nellysford. That happened this past Friday. The turnout was tremendous. Past and preseent customers and employees dropped by to celebrate two decades. To see all of the photos from the celebration click on our Facebook album above. Congrats to everyone at Basic and here’s to 20 more! !